At Heathrow yesterday, a US-Swedish dual citizen presented his US passport to immigration, as he had forgotten his Swedish one at home. He went in the non-EEA queue and was initially interviewed like a non-EEA national, but the officer then asked if he held any other nationality, whereby he said he was also Swedish but had forgotten his Swedish passport at home. The officer asked if he had any evidence of his Swedish nationality, whereby he found (in his bag) his English-language signed and stamped birth certificate from Sweden, which doesn't contain a photograph, but states his nationality as Swedish. with a handwritten annotation saying "holder is also an EEA national". 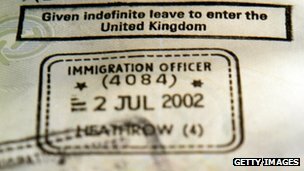 I read in a UK guidance that "indefinite leave to enter" stamps are officially no longer to be used at ports of entry, having been replaced by visa stickers obtained in advance. That's why I wonder: was this the correct procedure for handling an EEA national without an EEA passport? If not, what specifically should the person have been given instead? And in the unlikely event of a police or immigration enforcement inspection, would he be OK with what he's got? 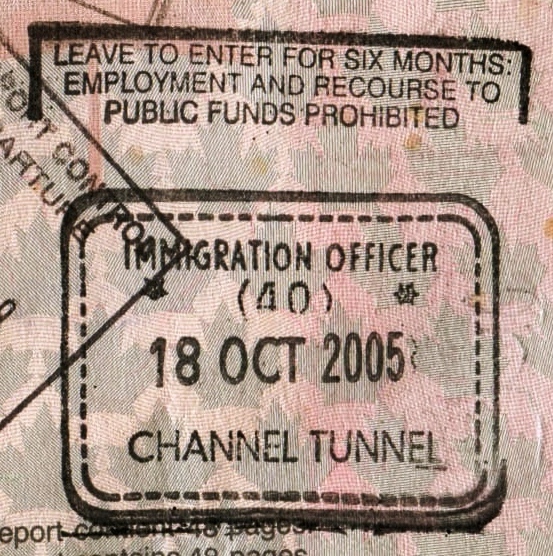 Note: picture is an example of what the stamp the traveller got looks like. This happened on 1 feb 2017, and he will now be in the UK for 4 weeks. A US/Swedish dual national transited UK immigration controls on his US passport. After a brief landing interview, the IO issued Indefinite Leave to Remain along with a handwritten note that the holder was a dual national. This was a mistake on the IO's part. Sometimes this happens; I have seen it personally about twice, once in London and once in Moscow that affected about 200 people. There were also two cases of corruption: a case where an IO was selling ILR stamps at Heathrow because she was in debt; and another IO in Dover also female with the same personal issues. Corruption does not apply in this case allegedly. ILR gives the holder immediate access to public housing and free NHS treatment plus all the other trappings of the welfare state. It's a serious mistake, although it's not the person's fault it still needs to be fixed. Had he presented his Swedish passport then the answer from Henning Makholm would apply. And while he is ok from a freedom of movement perspective, he has no claim for permanent residence in the UK. EU nationals acquire permanent residence through a different rigmarole. Answers focusing on freedom of movement have missed the point. There is no occasion whatsoever for an IO to apply EU rules in a US passport. The next time he is air side, he should ask for the duty CIO and explain what happened. The CIO will know what to do immediately when he sees the stamp. They will (most likely) give him an undertaking to agree that he has not used public funds and (most assuredly) revoke the stamp with no prejudice. It's a procedure (they will investigate and probably put stop flags on the others the IO admitted). They will not fix it from land side for lots of reasons outside of scope here. Corruption. The Chief Inspector gets very upset about it. The British public gets upset about it. The Border Force higher-ups get upset about it. Can you blame them? You asked for this answer and you got it. Henning invited it. As I pointed out, freedom of movement is a red-herring. It sounds like the IO went above and beyond, with better service than the traveler could rationally have expected in advance -- but I can't see anything wrong about the outcome. The EU/EEA freedom of movement rights apply to a person, not to a particular passport. Once the IO was convinced that the traveler was indeed an EU citizen, it may not have been legal for him to grant a time-limited leave to enter, in the absence of a definite reason to do so. (But that's just speculation). Article 5, section 4. Where a Union citizen, or a family member who is not a national of a Member State, does not have the necessary travel documents or, if required, the necessary visas, the Member State concerned shall, before turning them back, give such persons every reasonable opportunity to obtain the necessary documents or have them brought to them within a reasonable period of time or to corroborate or prove by other means that they are covered by the right of free movement and residence. The bolded part is what the traveler in this case was invited to do, and then successfully did. Not the answer you're looking for? Browse other questions tagged uk customs-and-immigration dual-nationality passport-stamps eu-citizens or ask your own question. What evidence is acceptable in practice to demonstrate EEA nationality in absence of a passport/ID card when entering the UK? Does a dual Nigerian-UK citizen need an ILR stamp to leave the UK?